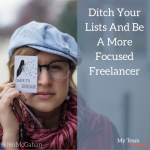 If you are a freelancer or blogger, you have a lot of tasks to juggle. Chances are you use lists to inspire you and keep you on track. But how effective are your lists? Do you make lists only to cross of a few items every day? Do you transfer the rest of today’s list to tomorrow’s list? Do you have a zillion ideas for new projects, blog posts, content, or activities, but you don’t know which one to start? Do you have trouble finishing projects on deadline? Do you have trouble keeping all your jobs organized? I even started to buy into that little voice telling myself that I’d never retrieve and act on even a small portion of my “good ideas.” I’d write things down knowing in my bones that I’d forget them as soon as they were filed. Lists are great, but for a lot of us, they’re not effective. It’s called Kanban Flow, and it resembles a grid-like organizational chart where you move components from one section of the chart to another as you finish them. At least that’s the way this novice is using it. It’s not a bulletin board, though you could visualize it that way. It’s called a Trello board, an online chart where you can see your entire newly- categorized life laid out like the yellow brick road. 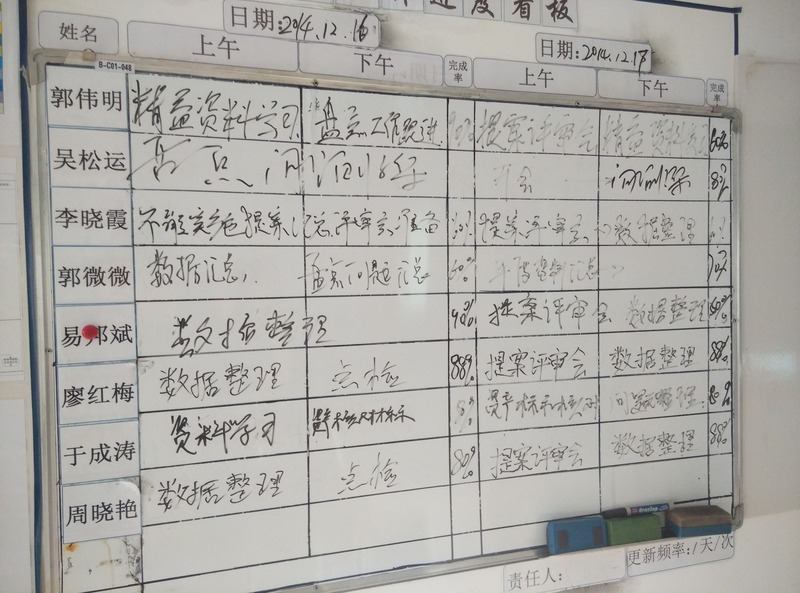 The Kanban system was created in Japanese manufacturing plants as a way to keep track of inventory. As it turns out, kanban (sounds like “bonbon”) is a great way to manage all your to-dos, brilliant ideas, shopping lists, team meeting agendas, car maintenance schedules, or family calendars as well! Name your project or whatever you’re working on now; you can probably get it done better with a Kanban flow. Although there are a few Kanban apps out there, I use Trello because it’s free and easy to learn. In fact, I’ve used if for a couple of years now, and I’m just beginning to really embrace how to integrate it into my daily routine and allow it to help me be more productive. How Do Kanban Flows Work? Pick some goal or project you imagine conquering. As you begin creating your first Trello dashboard, you’ll find there a learning curve regarding how you set up your boards. You may also realize that each project should have its own board. As soon as you begin adding lists to each board, you start seeing how simply and quickly a project that previously seemed out of hand could actually be accomplished. On the other hand, you might realize that a project requires more steps than you originally thought. Here’s where you learn to love lists again. Lists might include background research, questions, hypotheses, history, etc. They could also include active working areas, like components of a project to which different team members are able to make contributions. I personally like to add a “Done” list to just about every board I start so that I can swipe a task from a working area to that oh-so-satisfying “Done” column. Bliss. The best way to start feeling that productivity mojo is to just go to Trello right now and start playing. But if you still need some inspiration for how a freelance writer or blogger can use the Kanban flow, here are some ways to get started. Mind Maps! 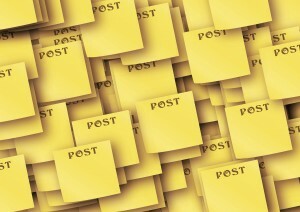 If you’ve ever used a mind map to develop an idea into a finished outline for an article or post, then you know you can either scribble a main idea in the center of a sheet of paper and draw arrows from there; OR you can jot all your ideas onto post-it notes and stick them on a large sheet of paper in some orderly fashion. Either way, mind maps are helpful, fun, and sometimes messy. This is why I started using Trello in the first place and where the bulk of my usage is still. Every company or website I write for has its own board. Usually when I’m writing for a blog (or as a ghost blogger) a good part of the work is coming up with ideas. Sometimes the business owner has a monthly or quarterly theme in mind. Sometimes she’s gearing up for a product launch and so the content will lead up to that. And sometimes, it’s up to me to come up with some interesting content ideas. I keep a board for each website where I’m a contributor. My first column is typically a smorgasbord of content ideas. I toss them up there in no particular order, using the Trello app on my cell phone whenever a good idea comes to me as I’m mobile. Once an idea is on that first column, and if it’s any good, usually I will start to add supporting ideas to it. It’s weird how easily this happens. As soon as I come up with a sticky idea, suddenly everything I see looks like a green light to write it. For example, I might read an article that supports the idea, or hear a podcast that has some relevance to the topic. I may run across a photo or a tweet that would be nice to include. The post practically writes itself if it’s right. At the GO phase, it’s just a matter of progression and time, not so much ideation. Now another other cool thing about Trello is you can add a calendar to your boards — perfect for keeping tabs on publish dates — as well as invite others to your board so they can comment. While I’m pretty strict about tuning out contributing voices as I write, the overall content strategy definitely benefits from others’ opinions. Again, for blog content, the arrangement of cards means nothing is ever really lost. I make a new card for every general topic I create for my own blog. Right now I have ideas for about 20 articles that are “simmering.” This means I am not exactly tackling these topics right now, but they are generally on my mind. Unlike my filing system I mentioned at the beginning of this post, all of these blog topics and “great ideas” are accessible and viewable. When I see something that complements the topic, I simply click the chrome extension on my browser and the link is captured. A small Trello popup opens and I can simply add it to the appropriate board and list. It looks like this (right). Why is this so effective? Because I can touch it once, and store it in the right place; but I don’t have to think about it again so it doesn’t occupy any more room in my mind. The major benefit for me is, I’ve dealt with it as much as I’m going to until I’m ready to compile all the facts and ideas into an article. Then I’ll have everything on hand to outline and create a first draft… if the idea ever gets that far. After that, I include checklists, another feature that I like. Now I can get the post ready with all the pertinent details: Whether it’s formatted for WordPress, the due date, images selected, title graphics, optimized headlines, keywords, tags and meta tags (SEO items), etc. You can see at a glance how close a blog post is to being ready to publish. You may be wondering at this point, what can you add to a Trello card? Here’s a list of some things I’ve uploaded: Images, links to articles, comments, PDFs, Google docs, things I’ve clipped to Evernote or Dropbox, quotes, tweets, and comments from clients. The software is set up to help you access and use a lot of the other apps and software in conjunction with Trello, and you can “power up” your boards with them. Yay! I keep list columns for jobs and projects I applied for or bid on, whether I sent a link to my portfolio, I post a link to my proposal and bid, along with a copy of the cover letter. And then I have a follow up list and/or signed contract list. 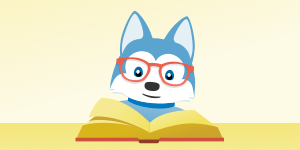 Ebooks, infographics, and longer projects I’m working on. Here again, regular practice and doing the same things over and over again, will help you make progress. If you’re just taking stabs at the thing whenever you “get a chance” you’re probably going to become frustrated that the project is not gaining traction. I include lists for research, various edited drafts, whether it’s formatted for CMS, milestones and deadlines, and graphic design components. As a writer, of course I’m a content consumer, too. I keep a board of books I want to read, courses I want to take, movies I want to see, etc. My personal projects and goals are perfectly fair game for a healthy Kanban flow, and I’m beginning to use it more for that. For example, my son is at the age where it’s time to teach him to drive. In Texas, there is a convoluted path to teenage driving. It starts with ordering a parent instruction packet from the DMV. After that, there’s online tests, application for underage permit, logging of driving hours under certain conditions, etc. I will be using my Trello to get us through this. Another issue that seems clearer thanks to Trello is a household IT problem we’re grappling with these days. Every technician, cable guy, and “geek” has a secondary troubleshooting idea for us. I started a list on my household board dedicated to solving this. I’m keeping the names of specific routers and other products I can try. I’m noting actions we’ve taken to fix the intermittent Internet outages, and network password reminders. Rather than jot notes on paper to transfer later, I just upload the idea or note to a card with my phone. Trello’s mobile app is great! I’m sure there are other personal and professional goals and projects I could be hacking with a Kanban flow method. Now that I’m beginning to get cozy with Trello, I’ve stopped just throwing things together. Finally, there are those pesky recurring tasks that must be done. Unless you’re a robot or your have extra help with certain tasks, and have your routine so perfectly ingrained in your programming, a Kanban flow could help you with this, as it helped me. While you can power up a board with Trello’s “Card Repeater,” another alternative is using a Zap or the handy Echo app built by Dennis Martinez. I’ve set this up and it works quite nicely. I use my recurring tasks board more as a reminder that I have to do these things than as an organizational tool. Just set Trello to automatically open upon login, and you’ll know first thing every morning. Some of my recurring tasks include posting to social media sites, bookkeeping, payments, taxes, filing tasks, etc. I sort them by weeks, months, and quarters. Are you ready to add an element of organization to your life that you simply can’t touch with lists? The Kanban method will change your life because it guides you toward changing your habits. If you want to become a focused freelancer who is ridiculously in charge of your day, you still have to open up your dashboard and take action. Discipline is so important. What Trello does so well is allow you to see the forest of your freelancing business, so you don’t get lost in the trees. If you’re feeling scattered or unable to keep up with your job searches, invoicing, research, or even your writing, try Trello and begin to know your business — and DO your business — like the true, productive professional you are. Trello is simple and sleek for easy use. 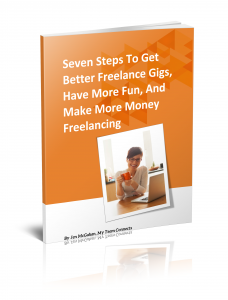 If you have any questions about it, and how to use it in your freelancing business, I’m happy to share more. Just drop me a comment on Facebook. I wrote down my top seven ways to get more done, have more fun, and make more money freelancing. That ebook is included in the free content library and it’s my treat… Get it here! In a lot of ways, freelancers get more done than the average worker. They choose where to work, when to work, and how, thus maximizing their productivity in ways regular office workers can’t control within the confines of a “normal” job. But it also seems that freelancers are always trying to do more with what they have. I see many work-from-home freelancers who, besides working with interesting clients and businesses, are blogging, writing a book, posting to social media, networking, and juggling all the other things that real life requires. So how do you get it all done? What’s the secret to being a highly productive freelancer or solopreneur vs. one who struggles to barely meet deadlines? Decide what you really want to get done. Then they go on to list all the tools you can use to accomplish it all. I distrust time productivity tips that lead me to download more apps. Sometimes my phone is part of the reason my goals get derailed in the first place! Furthermore, those time suckers management tools are not solely on my phone but my desktop, too. This month, I intended to dedicate my blog’s content to the topics of productivity and time management, but now I’m having second thoughts. Is it really necessary to rehash what so many others have already said on the subject? Do I really want to point you in the direction of more tools and apps and processes you may not need or use? No. And I don’t think you want that either. What most people really need and want, is some space to breathe and the freedom and time to do what makes you truly happy. I love freelancing and having a small business I can run from home. This kind of freedom allows me (and if you’re reading this, probably you, too) to create a unique lifestyle. I’m not saying you can slack off and still be successful, but it means you can decide for yourself if you want to create an empire — and that’s certainly within your powers to do so — or have more time to garden, paint, drive your kids to the skate park they love 40 minutes away. Yes, you get to choose; and that is true success! If you want to make a few thousand more dollars each month, you can do it. If you want to make more, or less, or simply have more flexibility, you can do it. Say your definition of success is daily workouts, walks, or hikes. Then a freelance job that requires you to be at your desk during your favorite spin class would never work. Maybe you want to be able to attend your child’s swim meets on the weekends. Then you obviously wouldn’t accept a job that asked you to be on call during those hours. At the same time, you may have a personal dream of public speaking as a sideline, starting a small agency, or adding a service to the ones you already offer. As you work on your client’s projects, you strive to find extra hours in the day to also get your personal projects moving. 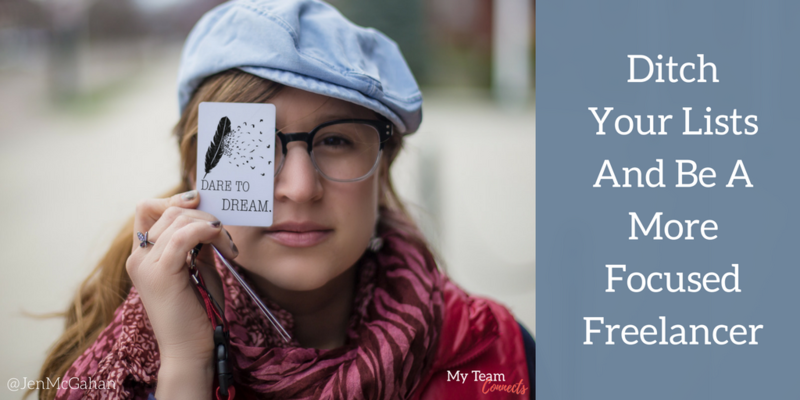 Maybe you’re an employee in a company… do you also have a dream of starting something on the side that earns you a few hundred extra dollars each month, or allows you to pursue a hobby as a business? Then I’m talking to you, too! 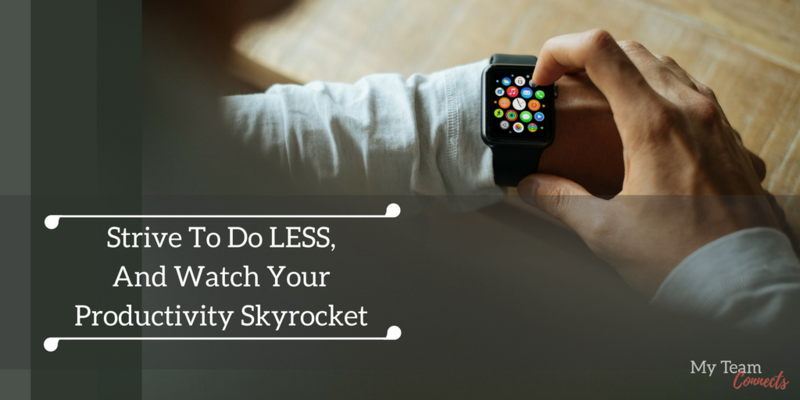 Time management and productivity are issues for everyone who wants to do more with their life. At the end of the day (and your lifetime) you want to say you accomplished more than just the bare minimum. You are here to do more than just survive. Regardless of your position, or your role in your company, whether you freelance, or report to a supervisor, etc., doing more and achieving more require you to do things differently. Different from the average way of working. Probably even different from the way you’re working now. First, always focus on where you want to be and take a few steps every day to get closer to that vision. Never just settle for your current role, because you can always do better. You know you were born to be great, do something memorable, and create something extraordinary! To achieve that greatness within you, and to be your most productive, please do what you love and want to do! (That should go without saying.) Do your work with enthusiasm — even the parts you don’t enjoy — and make sure your transitions are quick so you can get onto the next thing. If you dawdle in between tasks, then you’re going to lose a lot of productivity! You won’t believe how much time you’ll waste, if you don’t know your next step. But also, be very choosy about what you “want” to do. Avoid claiming too many goals, or else your to-do list become a wish list, not an accurate list of tasks you can plausibly accomplish. For example, don’t tell yourself that next month you want to add 500 followers to your Facebook page, write an ebook, connect with 20 influencers, hire a new team member, and bill $5000 in client hours. It’s great that you have specific goals, but you may have too many of them going on at once. I’ve made this mistake so many times, I can’t emphasize enough how a long to-do list can throw off your ability to get the most important things done. Decide what’s most important — to YOU. Just because you see someone else in your network or someone you admire online is doing (and apparently succeeding at) a dozen projects simultaneously, beware of this mirage. It’s probably not true. Don’t be fooled into thinking it’s possible or even desirable to do so much at once. The “Hustle” (à la Gary Vaynerchuck) only works if you have targeted goals. The main detail I can add to this ongoing productivity conversation about which too much has already been said, is this: Know exactly what you want to get done, but be discriminating about those things, for heaven’s sake! I like the advice to list the top 3 -5 things you want to get done every day, and then do them. Even if they are the same things every day, do those. I was chatting with a friend today and she told me that she has free time in the morning, and she knows she needs to get more exercise, but she doesn’t make a point to get to the gym, where she’s a member. My advice was to simply put on the yoga pants immediately after brushing her teeth. Set an alarm for 20 minutes before you need to leave the house or office. Don’t think about it, just go. Why be so creative with your to do list? Why add a lot of things that don’t make your heart sing? By the same token, If your goal is to write a book over the next three months, then you’re going to need a table of contents, and plan for writing that content a chapter at a time. It’s not difficult. Start with a short book to see if you actually enjoy and excel at writing, then work your way up from there. If you only ever write one chapter, at least you’ll have that content to add to your accomplishments and publishable files. You can share it in an article on LinkedIn or Medium if nothing else. Does narrowing your options mean you don’t set new goals? Of course not. You must add new constructive goals (small parts of your goals) to your task list every day. In other words, make goals, but make sure you set goals that can be chunked down and followed, each little step of the way. Make time for those compartmentalized tasks that help you reach your new goals, but don’t add so much to your plate that you choke. Want to write a book? Plan an event? Make a promo video? Make one long deadline, then reverse engineer smaller deadlines you can meet every day. That’s the way all successful, productive people get things done. I’m one of those people who want to do everything. I’m always busy doing things I think “should” be done, but it’s easy to get too busy and forget the ultimate big picture. If that one thing isn’t absolutely clear in your mind, you end up busily doing tasks that never get you any closer to your real goals. How sad is that? Chasing toward things you never set out to do only wastes time and serves no one. Meanwhile, stick to your routine. It will provide the framework for additional tasks. Just put the non-negotiable tasks on your list first and work everything else around those. Can you imagine actually getting those few things done? Most people don’t even get a handful of tasks finished to their satisfaction each day. But you can be the exception. No, I mean Really. Done. Choose less and you’ll see… you’ll actually do more. You will find that you have the mind-space and even the time to do stuff you thought would be gravy. 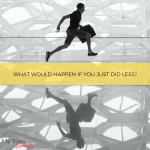 You finish a few tasks and feel good about them; then have the energy and desire to go the extra mile on those things you didn’t even think you’d have time for. Strive to do less. That’s my advice for productivity. Now, I’m not a productivity “expert” and it sounds crazy, I know. But I’ve found that taking my to-do list and cutting it in half, works! I just stuck to a few small but uber-important tasks each day, and I can do more than I imagined when my to-do list was miles long. To get more done, take something OFF your to-do list! Is this just semantics? A trick of words? Not really. When you start seeing your time as your most valuable resource, and making priorities as to what you choose to do first, second, and third every day, suddenly you get really good at doing only what is really important to you. Less is more. Good luck! And tell me how it goes. Space for more what?…Space to grow. Space for more of whatever you want for your business. I'm cleaning my office tomorrow because I need some more space! It's a desperate situation here…the craft room/storage room/writing room/home office is making me crazy. I'm whisking it away to make room for my business to grow even more than it has recently. Isn't it ironic? Gratitude has broken me, finally! The discovery that you really CAN achieve what you want in business — especially when you are just starting out — is astonishing to many new entrepreneurs. Many of us feel like we have to be doing everything at once, top quality, 100%, all of the time. Well, I'm humbly waking up to reality. I can't do it all. And neither can you. 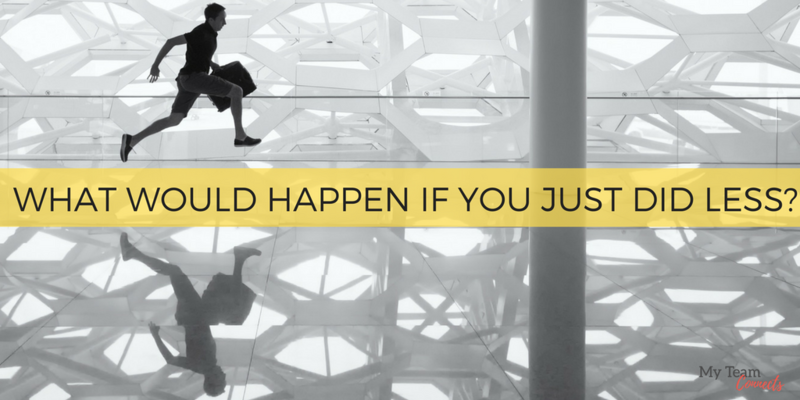 The bracing truth of entrepreneurship is that you can do what you really want to do. Refreshing, isn't it? Kind of scary…and it requires all the integrity you've got! And it requires space to grow. Solopreneurs can go crazy trying to learn how to do business. Meanwhile they forget that what they should be doing is actually minding their business. They chase around and follow the advice of a million different advisors who don't know a thing about them. Yes, I'm an information junkie, too. But only to a point…I skim, I take only what I need, then I charge ahead. I leave a lot of unfinished books, incomplete webinars, and half-baked pie behind me. I'm not exactly thorough, but I cover more ground than the average jane. Learning to sweep it away before moving ahead is a challenge for people like us. Brains and arms can hold only so much before you have to make room for your own ideas. It takes mental, physical and spritual space for a creative, original and (this is important) productive thought to bubble forth. Productivity: the whole point of being in business for yourself is to move your business ahead and make money. So here's my "A-ha" for the day: when you tidy up and remove the junk you've jettisoned behind you, you are better able to come up with ideas that really make sense inside your own business! So tomorrow as I'm cleaning my office, I'll be listening to some teleseminar or attending a conference call (no doubt), but I'll be physically changing the way I do my OWN business. Can't wait! I'll talk with you soon! 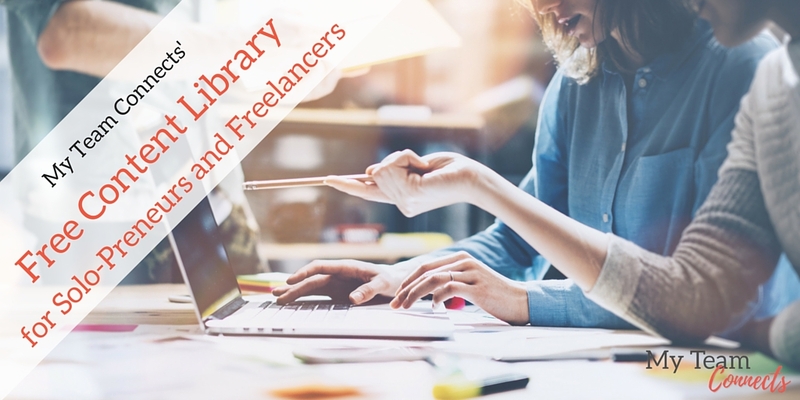 Join our free content library and get business-building resources created BY and FOR freelancers and solo-preneurs! Health and Wellness Come First! Your success flows from within. Make sure you're building your business on a solid foundation... YOU. Book reviews of "Find Your Ideal Clients"
"The author hit a grand slam when she said our inbox is the #1 real estate on the net...She is definitely an expert in her field." "Jen gives me everything I need to know in order to craft the perfect marketing piece." 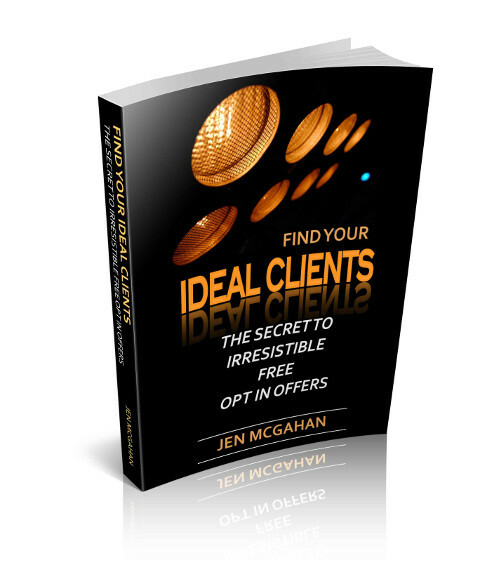 "Jen McGahan's wisdom, experience, and gifted communication style will leave you with the impression that she wrote this book just for you. A definite must-read for anybody whose task is to make connections." "This book made me realize how important an opt-in mail list is for the success of my online healthcare information site." "Like sitting down with an expert over coffee…"